According to an instruction manual by the U.S. 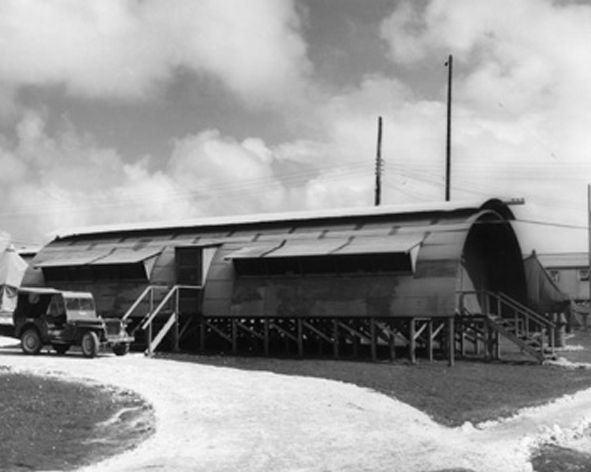 Naval Civil Engineering laboratory, the 40’ x 100’ Utility Quonset Hut could be assembled by 10 men in 323 hours. 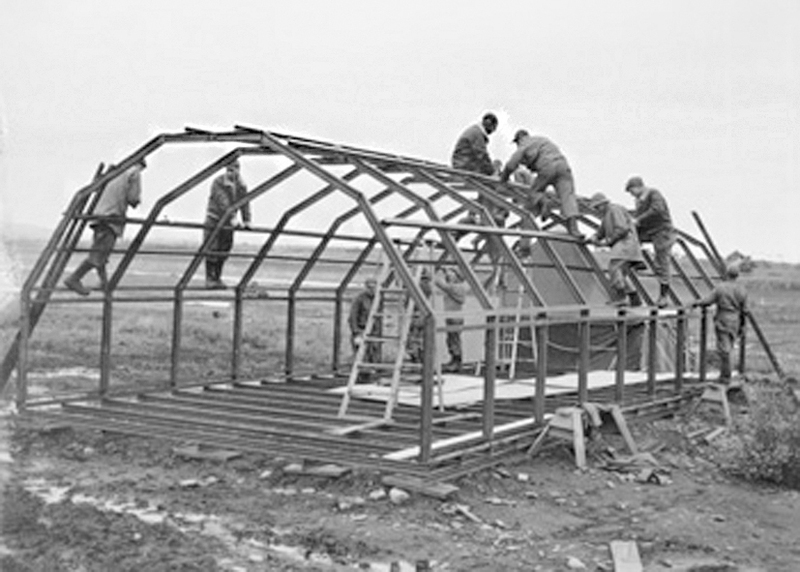 The assembly was divided into four sections: ribs and purlins, end wall framing, roof sheeting, and building flashing, each requiring 68, 93, 157, and 5 man-hours respectively. 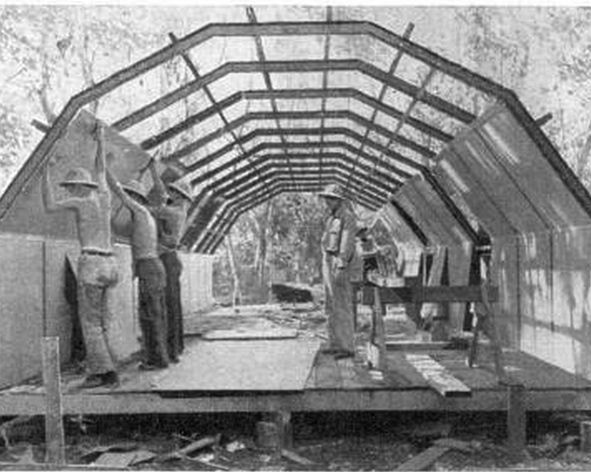 Although this is the manual to construct a larger version of the standard Quonset Hut, the principle is the same for the assembly of all types of Quonset Huts. 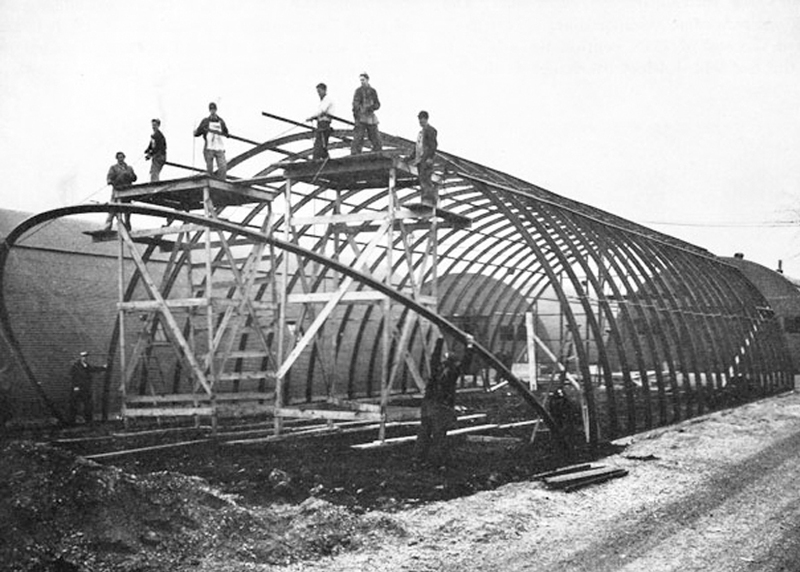 The ribs and purlins are first assembled on the ground, and then hoisted to the foundation by a manila rope choker attached to the crown of the rib. The rib is guided into place and attached onto the foundation by anchor bolts. Purlins are then bolted to the ribs to stabilize the frame laterally. 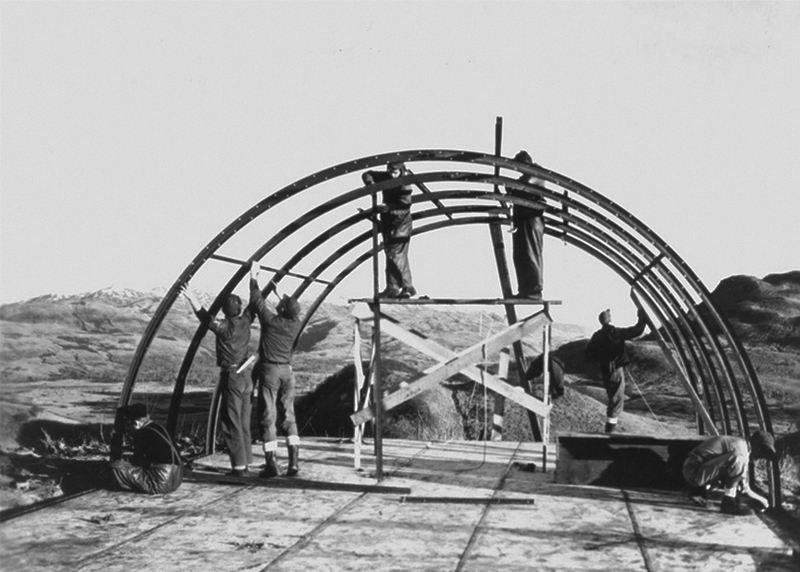 The endwall frames are similar to the body of the Quonset Hut, with ribs and girt that are fastened by studs. Cover sheets and door leaves are attached to the endwall frames. The cover sheets are placed horizontally and self-tapping metal screws are used to secure the sheets to the structural frame. Then 3’x7’ walk-in doors and 2’x9” windows are installed. Roof sheeting is used to cover the main body frame. The sheeting is placed, caulked and fastened. Lap joints in the sheeting are caulked by hand-operated mastic guns and stitched with self-tapping metal screws. Finally, steel flashings are installed in the junctions between the endwalls and roof, and in the openings around the windows and walk-in doors. Prefabricated flashing was provided, and was field-cut to fit. 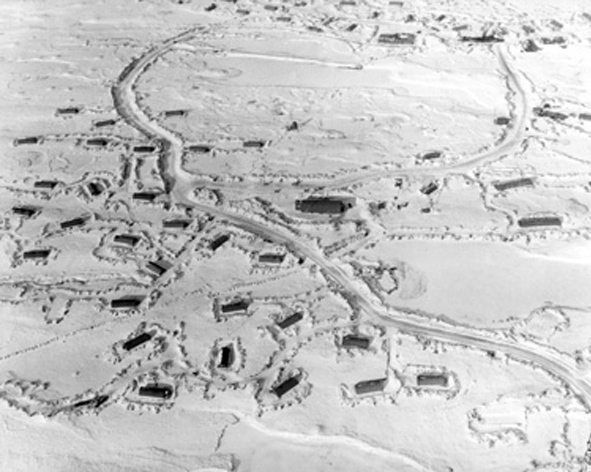 The layout of the Quonset camps are determined by the planning instructions provided to the Seabees. 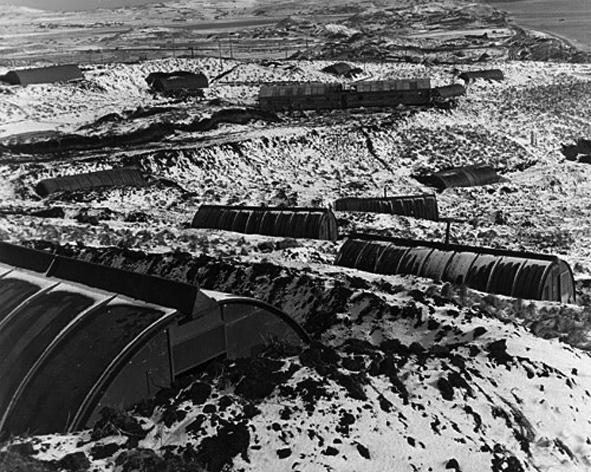 A slight rearrangement of the plan is permissible, however the huts must remain scattered at a distance to prevent more than one possible hit in a single pass of an air raid. Further protection from planes is achieved through banking earth over part of the shelter. The covering should be about 3 ½ feet above floor level and sloped back 15 degrees. 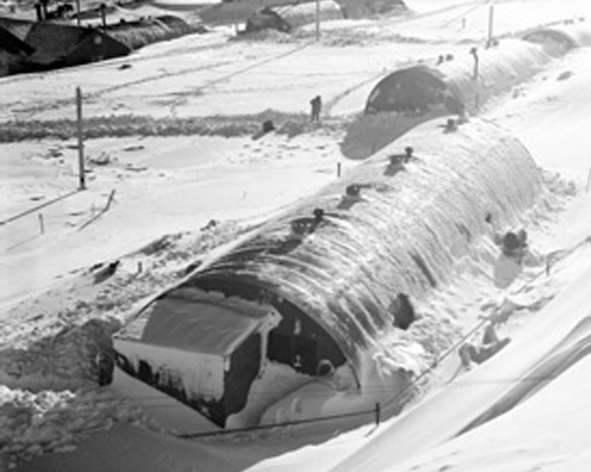 The occupants of the Quonset Hut are then protected against the effects of bursts at a distance. 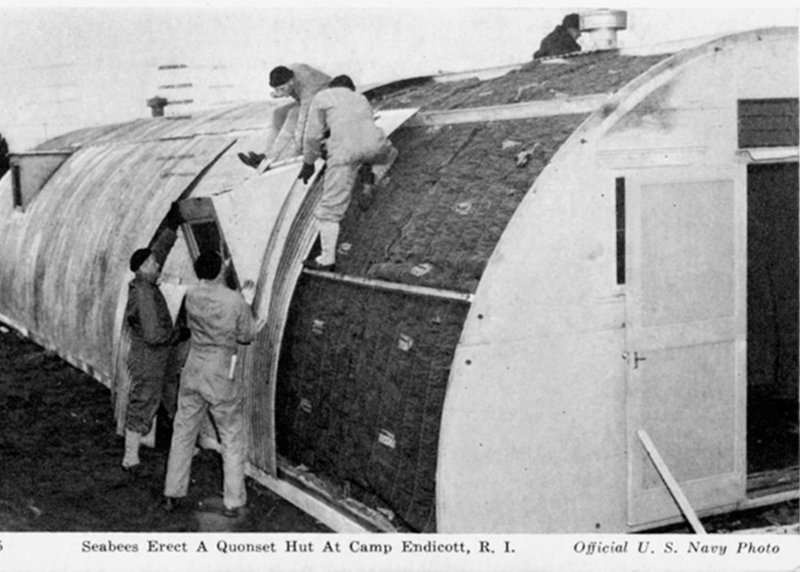 Modifications to the assembly of the Quonset Hut may be made based on its geographical location. In tropical regions, it may be desirable to omit the embankments and support the hut on blocks to permit circulation of air beneath the hut, prevent flooding, and reduce termite damage. 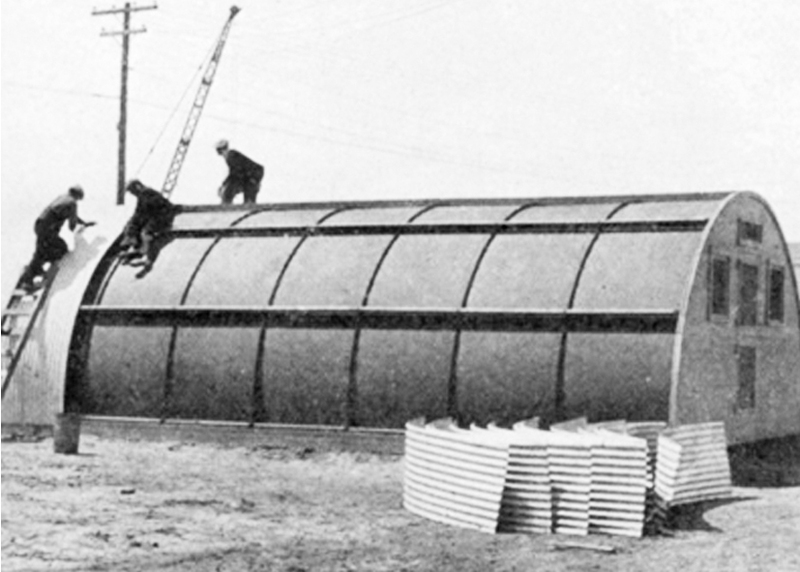 Water collecting troughs, and overhangs created by insert bulkheads were also added, while the oil heater and vent stack were replaced by a third ventilator. In colder climates, heat loss and dampness can be prevented by layering the floor panels with tarred paper during or after construction of the hut. 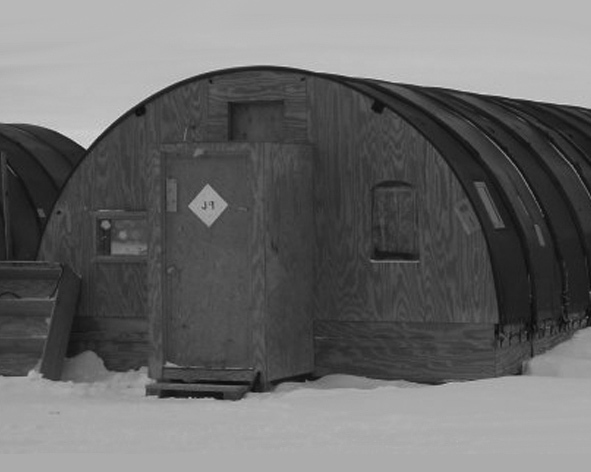 In addition, residual framing lumber was used to create a separate entry to trap the cold air, and prevent it from entering the hut.